A full property inspection is key to ensuring that the commercial space you’re leasing or buying is free from issues that could develop into a full blown crisis down the line. 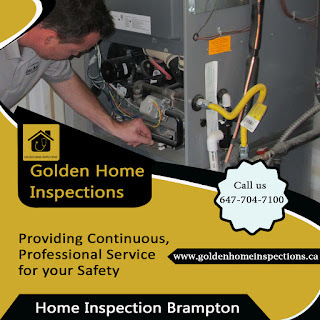 Although it’s strongly recommended that you should hire Home Inspection Brampton professionals. Because they are the perfect choice for conducting commercial property inspection. Home inspectors walk-through of the grounds surrounding the property. This includes the parking lot itself and any landscaped areas. Ensure that all parking spaces are well marked, and pay attention to the condition of the parking lot itself. Excessive pot holes, cracks in the cement, or an uneven layout can sometimes result in injuries to your employees or clients and can leave potential clients with an unprofessional impression of your business. Check landscaped areas for signs of operational sprinklers and properly situated irrigation that will prevent flooding in the event of heavy rain. Ensure that emergency exits aren’t blocked from the outside, and confirm that all entries into the building are easily accessible. Perform an extensive walk-through of the inside of the building, from top to bottom. If it’s possible to access the basement of the facility, take the opportunity to look for any cracks in the foundation that may be visible. Look at every single window and door and make note of any damage that you see. Also pay attention to static light fixtures, spots in the ceiling that could indicate past leaks, and carpet damage that could have come from the same cause. The condition of a property’s plumbing is also essential to its suitability. If you encounter any serious issues during your property walk-through, raise it with the current property owners before taking it as a sign to turn and run the other way. Repair of minor issues can sometimes work to your benefit by giving you leverage in price negotiations. Are you currently buying or selling a commercial property? Are you planning on moving? Would you want a commercial property inspection service. Contact Home Inspection Brampton professionals, it is only the best choice for inspect your property. At Golden Home Inspections, A commercial property inspection is a thorough and systematic evaluation of the condition of a commercial property. It is a complete physical exam of the general integrity, functionality, and overall safety of a property and its various components. The purpose of this process is to ensure that buyers know exactly what is being purchased, prior to completing the transaction.